Posted on 3, May 2016 by EuropaWire PR Editors | This entry was posted in Food & Beverage, Management, Norway, Retail and tagged Atle Vidar Nagel-Johansen, Idun Rygge, Orkla Foods Norge. Bookmark the permalink. OSLO, 03-May-2016 — /EuropaWire/ — The Board of Directors of Orkla Foods Norge has decided today not to pursue the plans to restructure the operations at Idun Rygge. This means that Idun Tomatketchup will continue to be produced in Norway. 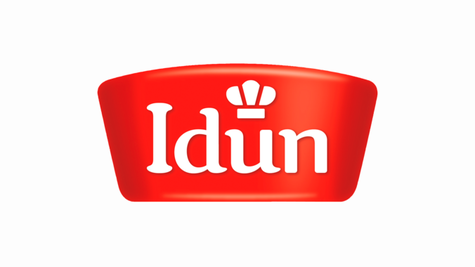 On 29 March, the Board of Orkla Foods Norge adopted a decision of intent to move production of all Idun products and at the same time make internal changes in the manufacturing structure at Rygge, The plan was part of the process of simplifying Orkla’s factory structure. “After making a decision of intent, we have the possibility to involve far more people in the efforts to quality assure every single factor that is significant before we make a final decision. Now that we have the results of this work, the Board of Directors has decided, based on an overall assessment, not to pursue the former plans to restructure the Rygge factories,” says Atle Vidar Nagel-Johansen, Chair of the Board of Directors of Orkla Foods Norge. He refers to the fact, among other things, that no changes must be made in the company’s factory structure if it entails a risk that the company’s delivery performance might be impaired. “We examined the possibilities of moving production to our factory at Fågelmara, which manufactures ketchup and dressings for several countries. We have concluded that we do not want to put additional pressure on the factory’s capacity. Ensuring that we are capable of delivering as promised to customers and consumers has been an important factor in our assessment,” Mr Nagel-Johansen says. Orkla Foods Norge has two factories at Rygge – Idun Rygge and Nora Rygge. The factories have a total workforce of around 80 employees, who were informed of the decision at a general meeting today. Work will now commence on exploring ways of further increasing production efficiency at the factories in Rygge in order to strengthen competitiveness. Orkla Foods Norge, Rygge Branch, currently consists of two factories, Idun and Nora. Tomato ketchup, mustard and dressings are produced at the Idun plant, while the long-standing production of sauerkraut and pickled gherkins takes place at the Nora factory. The two factories have a total of 80 employees.